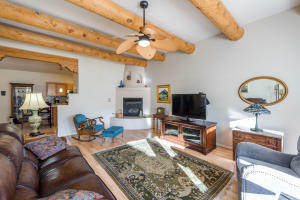 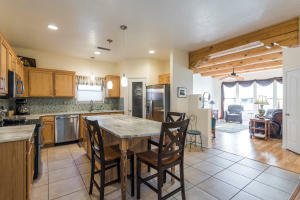 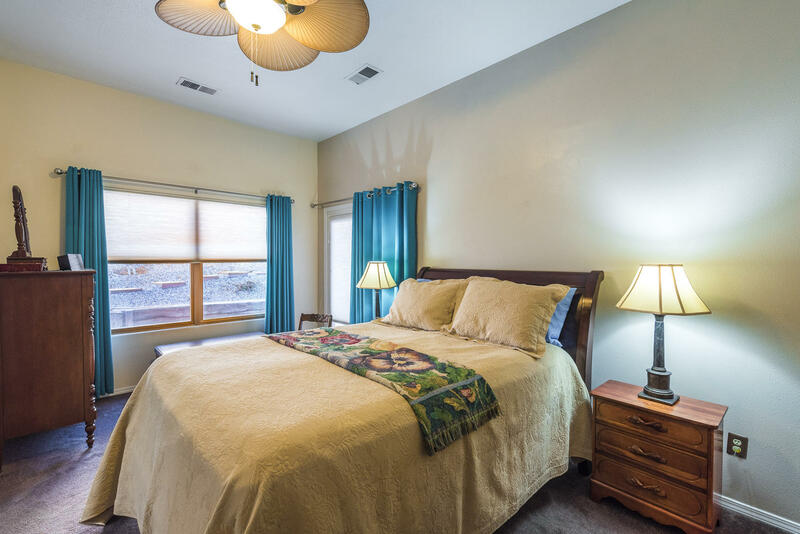 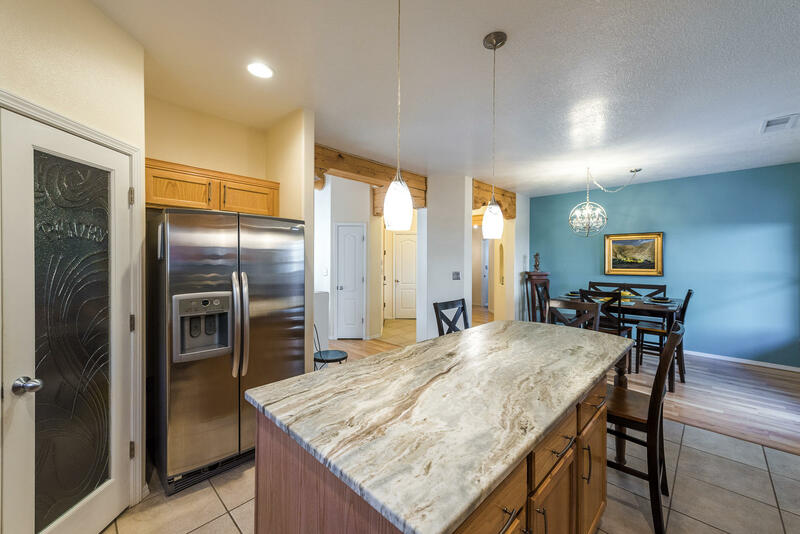 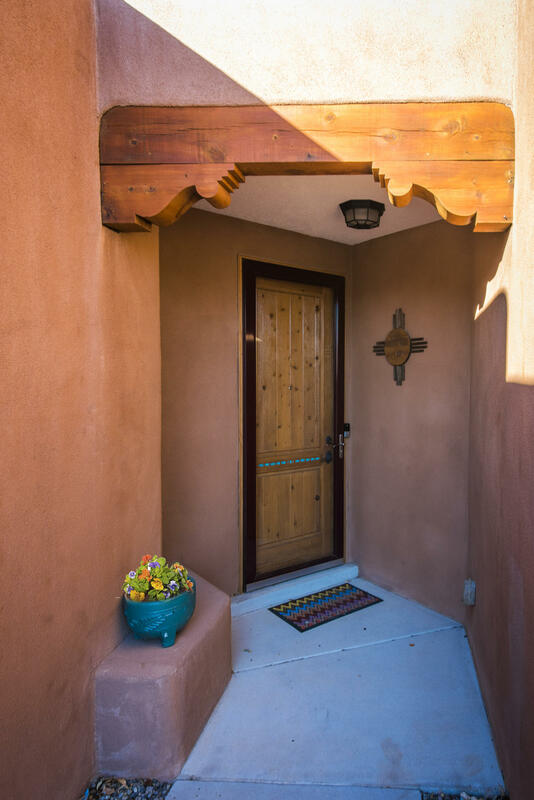 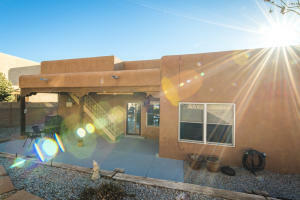 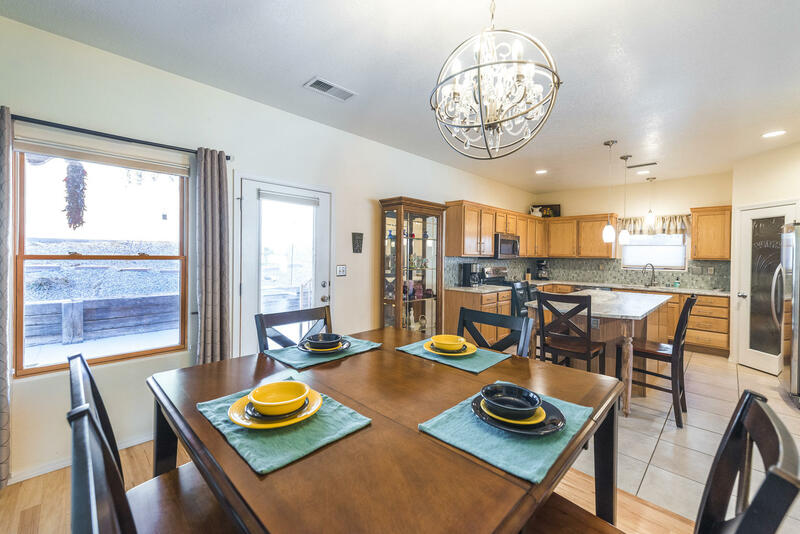 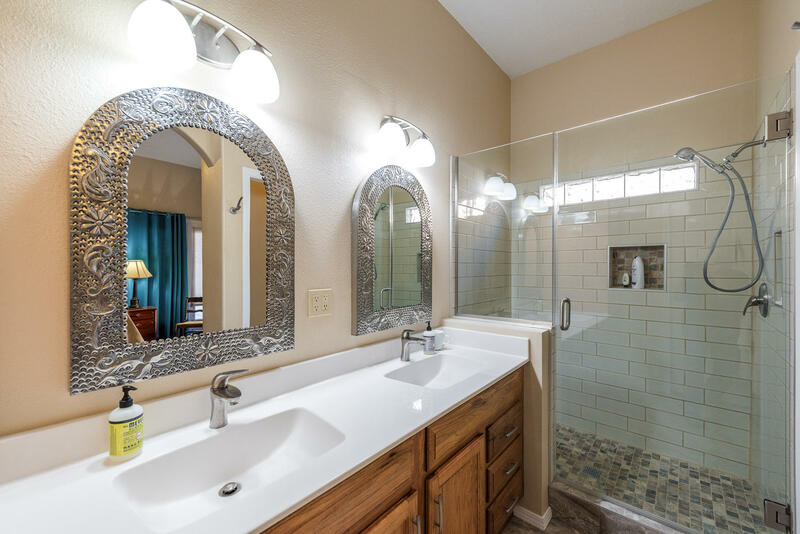 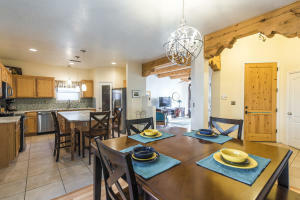 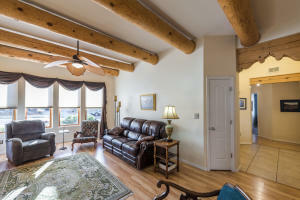 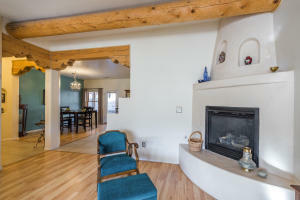 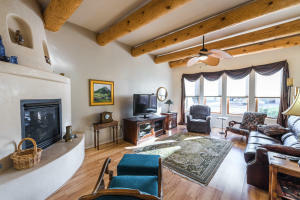 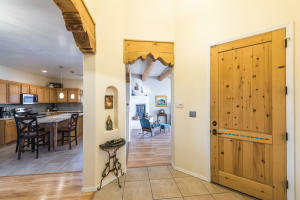 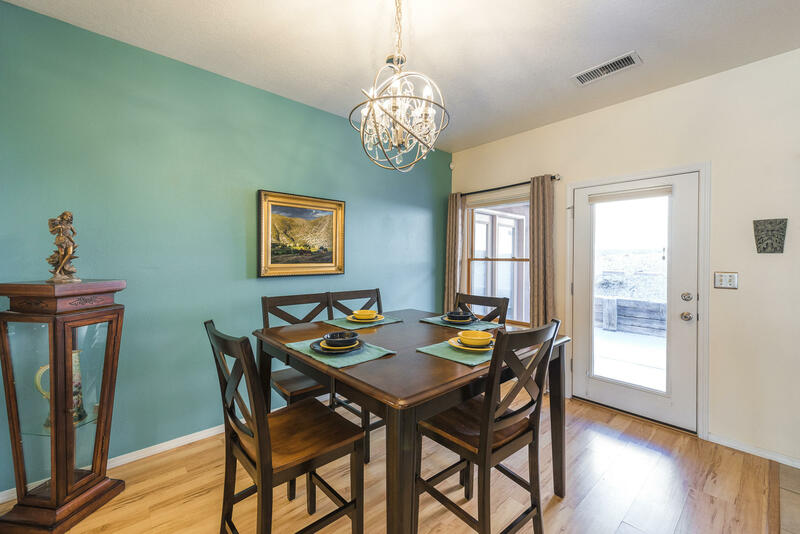 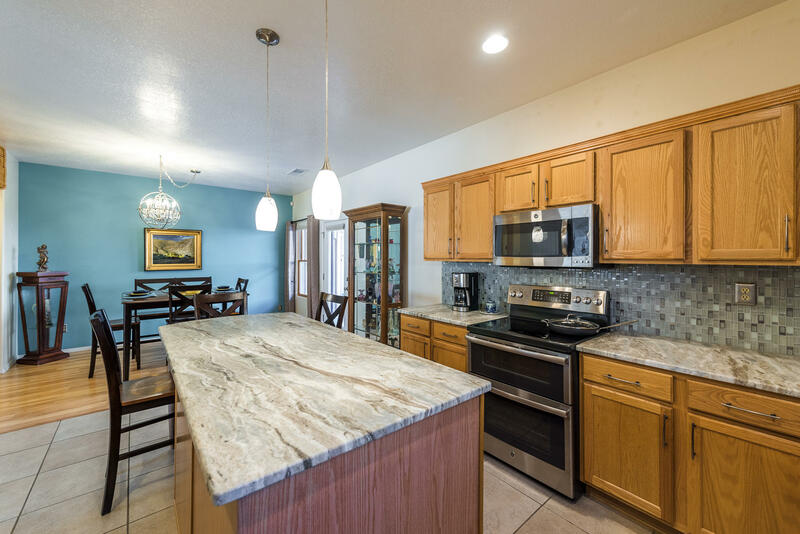 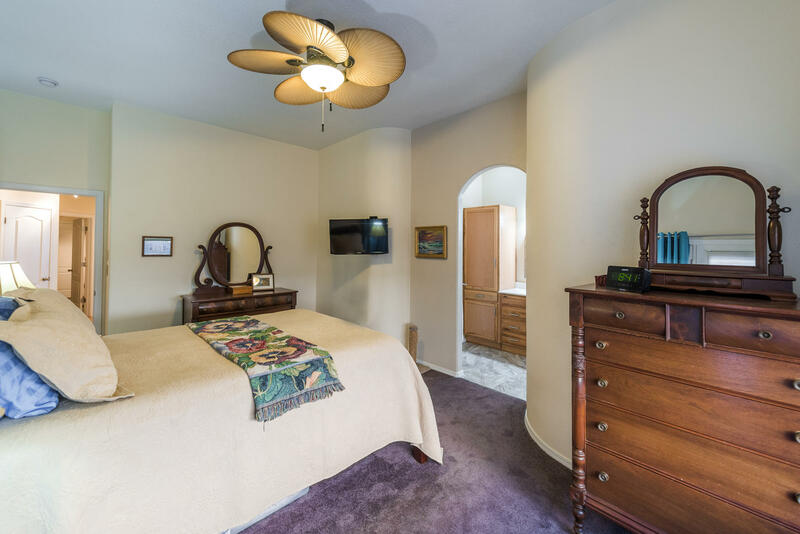 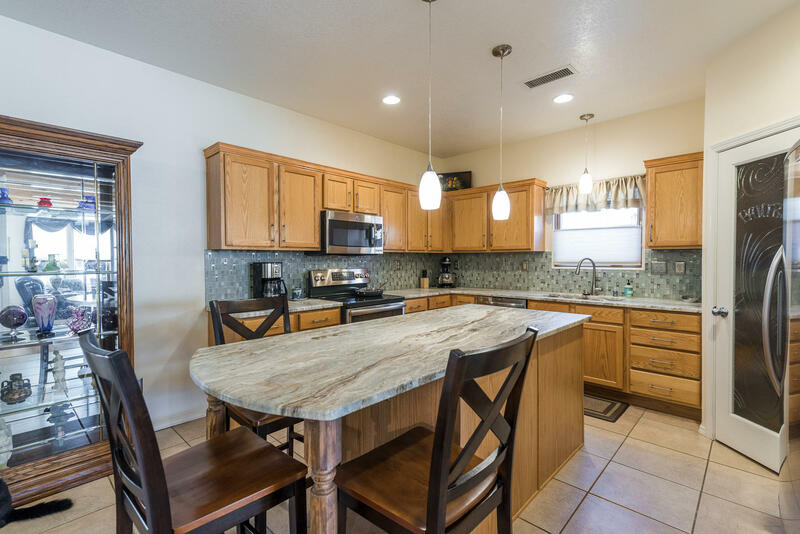 Beautifully updated home within walking distance to the Bosque. 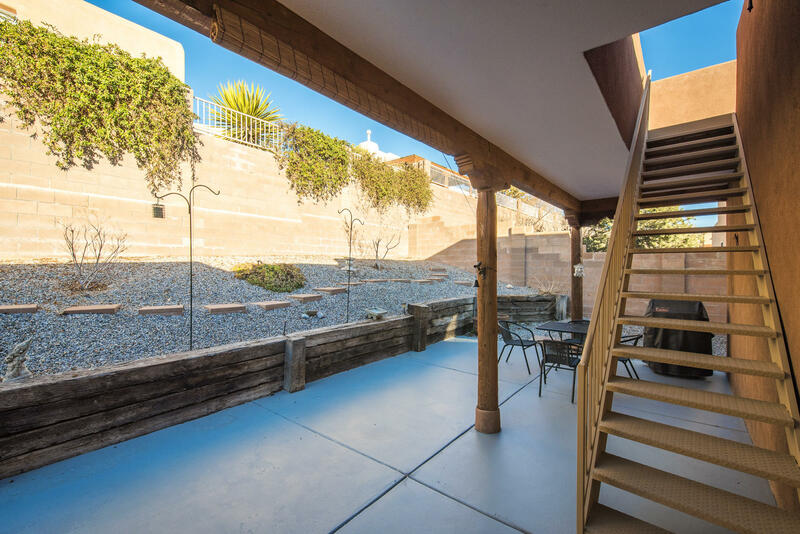 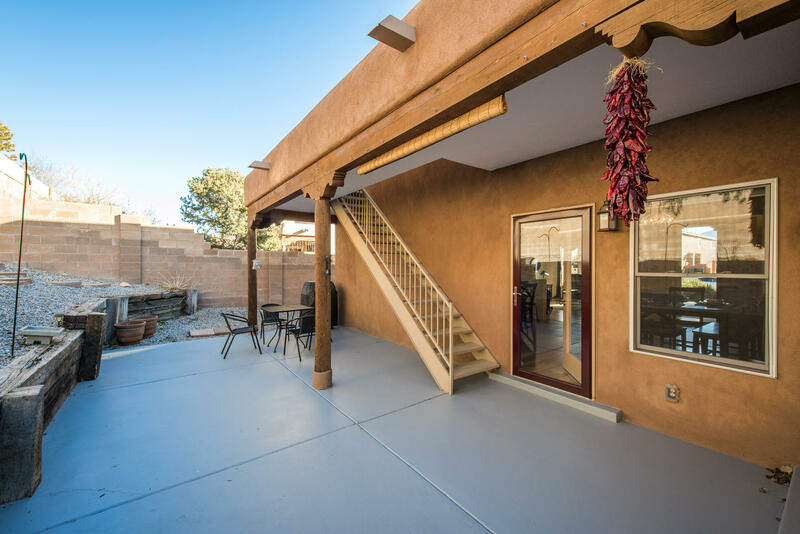 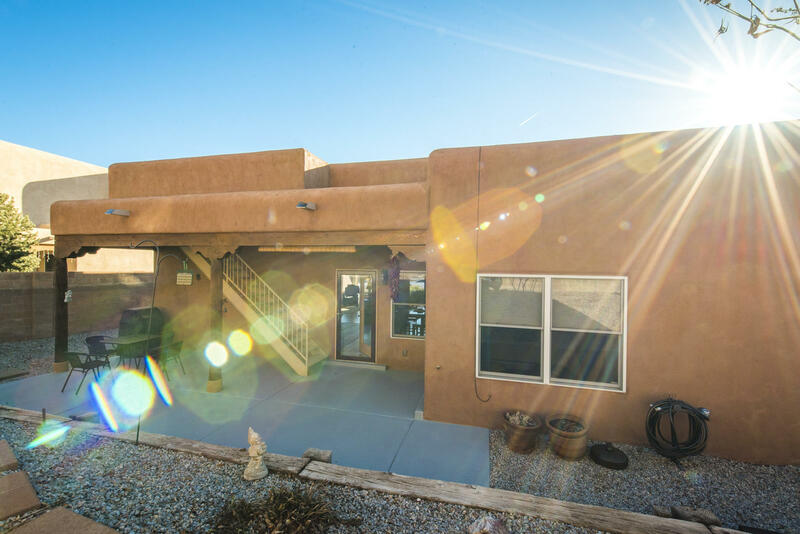 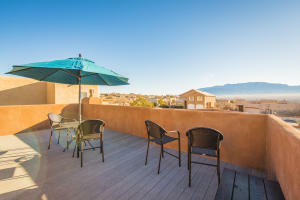 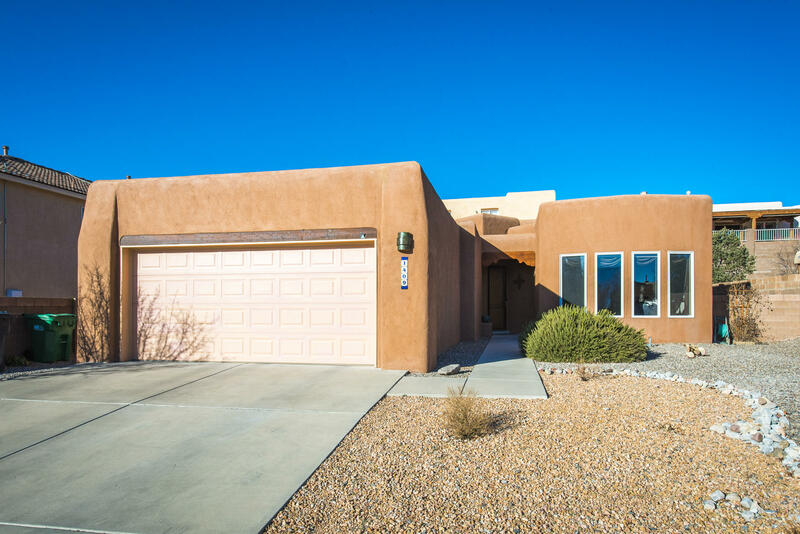 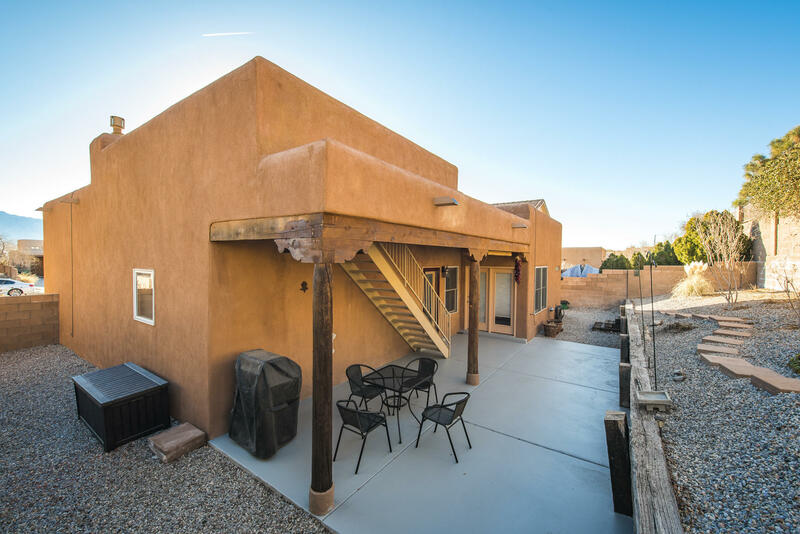 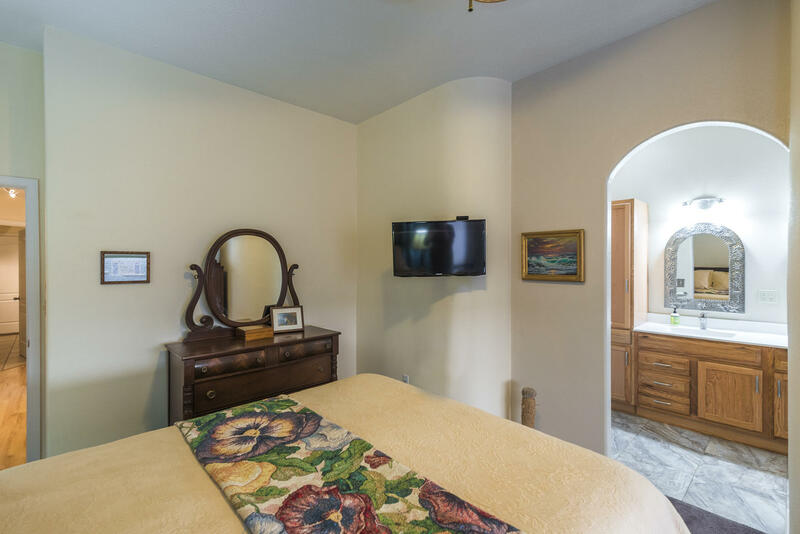 Home boasts of a great room with kiva fireplace, wood floors, vigas and latillas with views of the of the amazing Sandias. 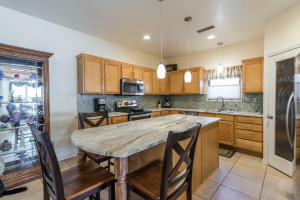 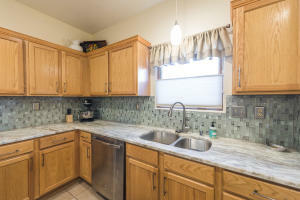 Kitchen has solid surface countertops, eat-at island and walk-in pantry. 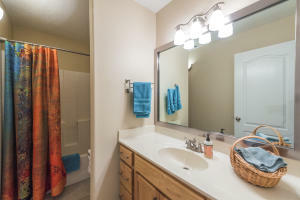 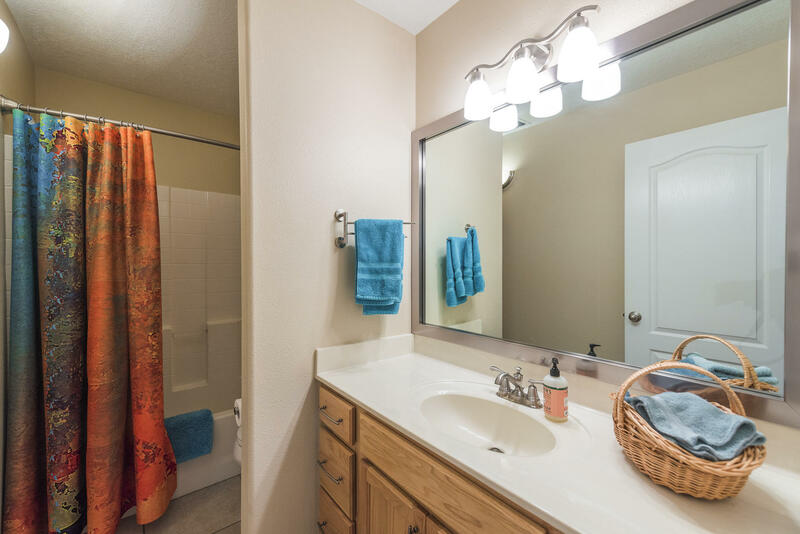 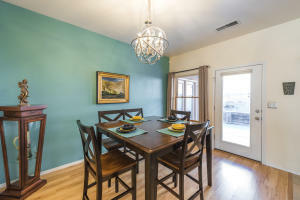 Large master has backyard access and fully remodeled bath with dbl sinks, walk-in shower. 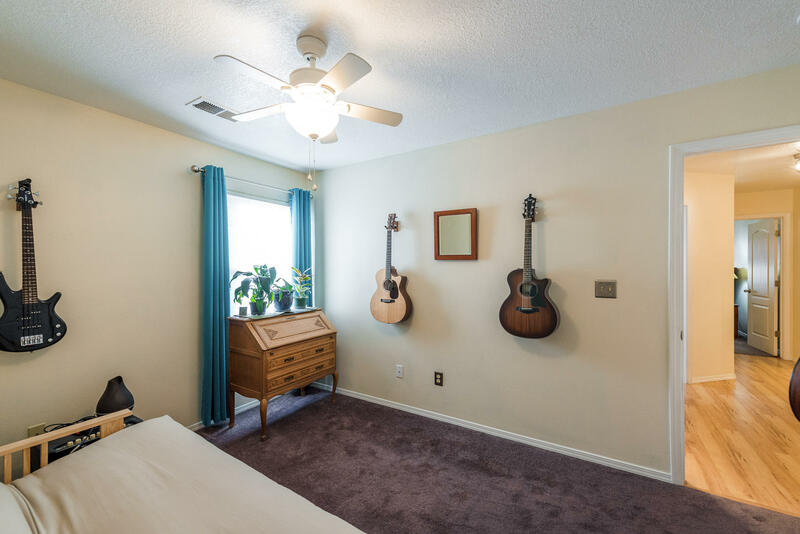 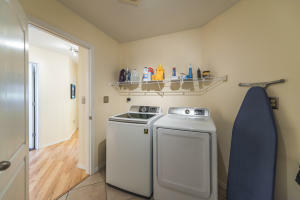 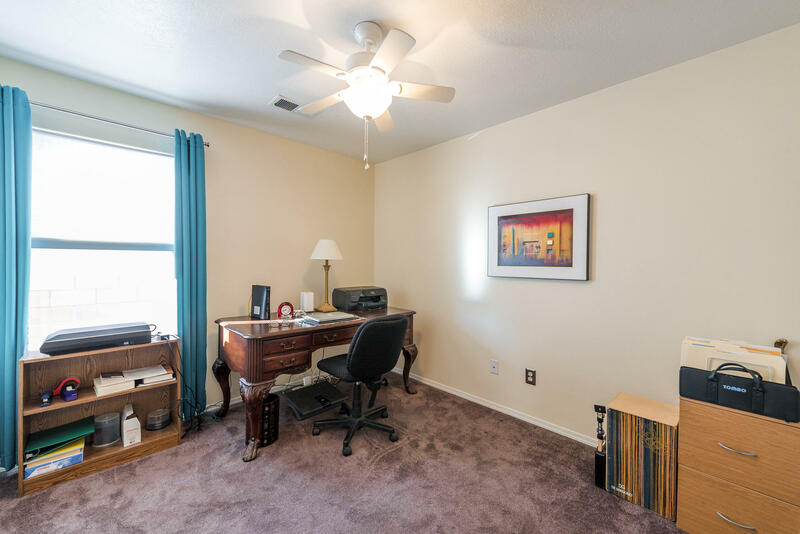 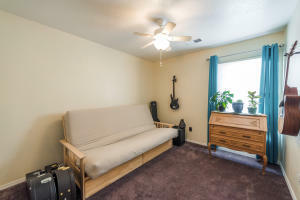 Two other bedrooms and oversized laundry room. The backyard has southwestern landscaping with native plants and an inviting covered patio. 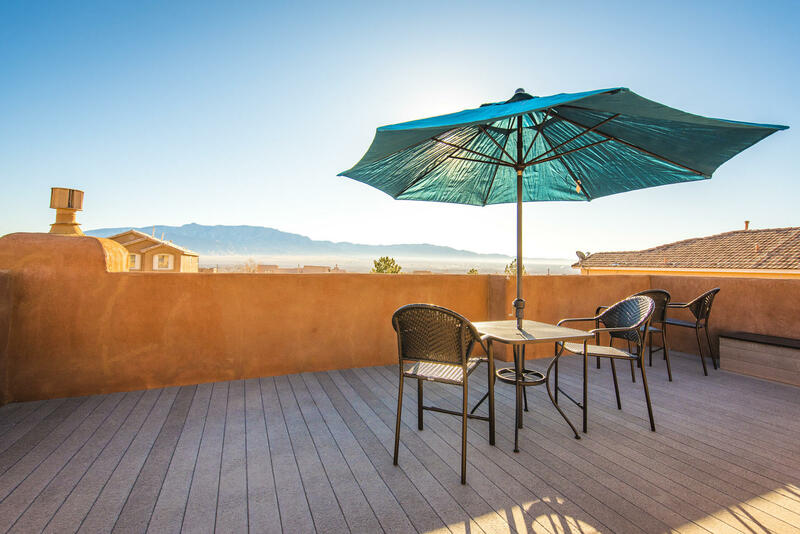 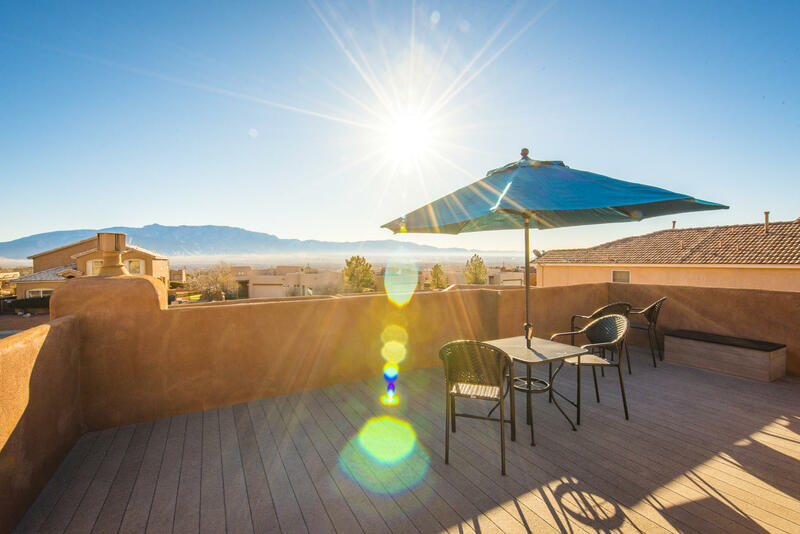 Be sure to go UP to the deck because you won't want to miss the views. Amazing views of the bosque and the mountains. 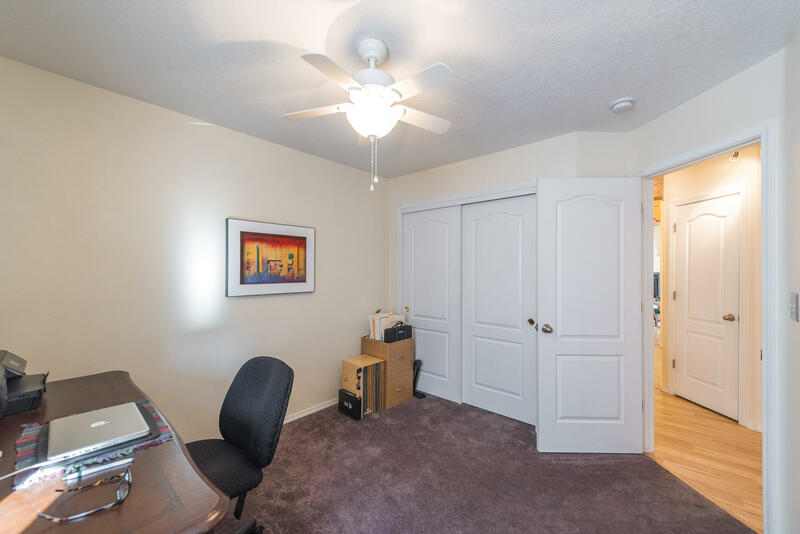 Imagine watching the balloons from that vantage point. This is a must see house. 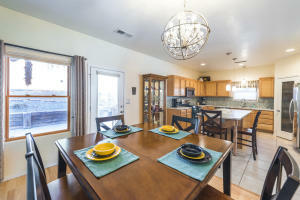 Well maintained home with lovely upgrades.